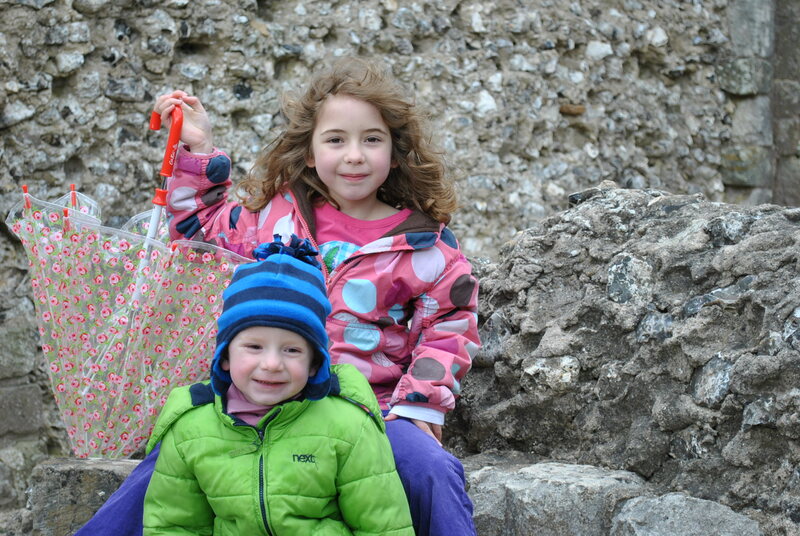 I went with my Mummy, Daddy and small brother to Old Sarum. This was a great place to visit as it covers many different eras in British History all in one place. So if you are studying the Celts, the Middle Ages or the Normans at school, you can come here and see it all! There is a children’s trail that you can do. Iron-age Celts lived on top of Old Sarum. They built banks and dug ditches round it to protect themselves from attack. The moat that they dug is as deep as a double-decker bus. We climbed to the top of the hillfort and it was really, really windy!! The wooden huts and palisade from the celtic times have rotten away now but the mound is still there. After the Celts, William the Conqueror built a motte in the middle of Old Sarum and built his keep on top of it. William the Conqueror was my 30 times Great-Grandfather! Bishop Osmond built a cathedral at Old Sarum in 1092. The remains of the cathedral and keep are still here today. Later on, Henry II kept his wife, Eleanor of Aquitaine, here as a prisoner for 16 years! That wasn’t a very nice thing for my great grandfather to do to my great grandmother! We had a great time running around the bailey and up and down the ramparts. If you climb up on the walls, you can see a long way. I could see Salisbury Cathedral. We bought my brother a sword in the shop and I got a quiver with arrows and a bow. 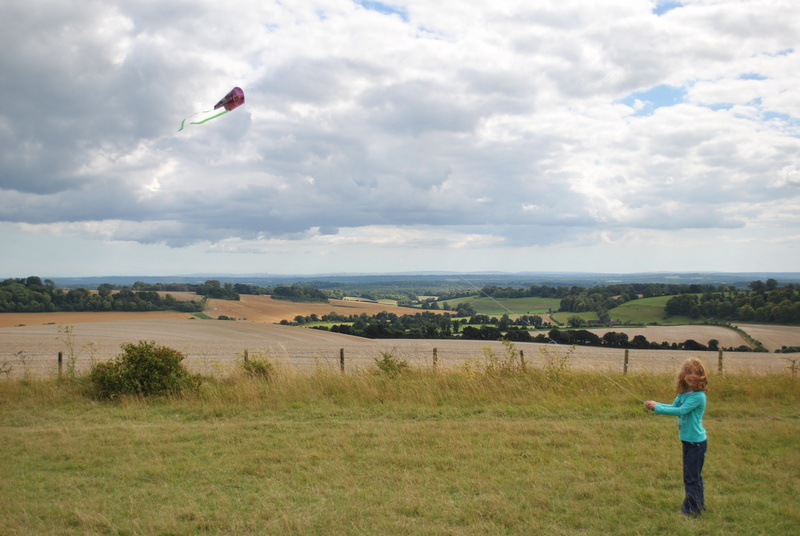 Afterwards, we flew a kite in the bright blue sky and chased the clouds away. If you are nearby, I recommend you come to Old Sarum, but beware – it is VERY windy at the top! 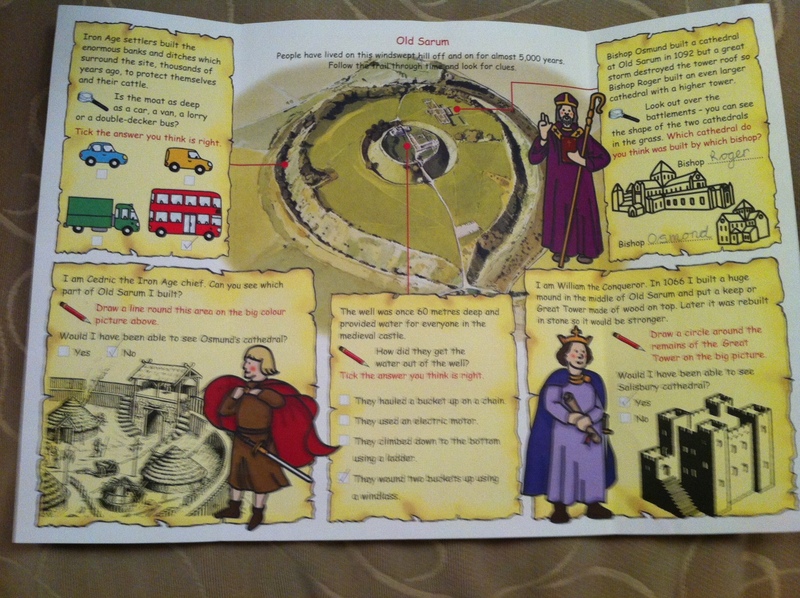 This entry was posted in Adventure, Day Out and tagged Celts, English Heritage, history, Middle Ages, Normans, Old Sarum, William the Conqueror. Bookmark the permalink.